Beginner group surfed Dreamland this morning, offshore winds, chest high and everybody had fun session. Advanced group surfed down hundred steps Green Bowl peninsula dawn this morning, early season gold with just a few guys out. 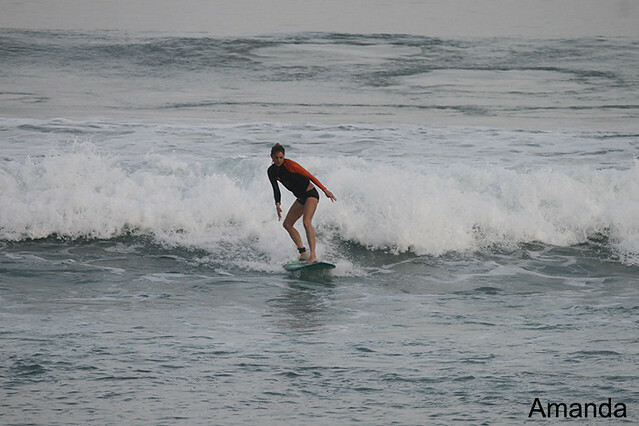 Light offshore winds, head high, glassy waves, great conditions to surf. Intermediate group went to Balangan for long session.